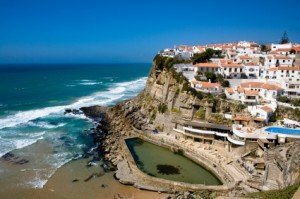 Campervan Hire Portugal - A great place for motorhome holidays! The best way to see a country is to go on a driving tour. You will see so much, get off the beaten track, and have the freedom to go where you want, when you want. It is even better if you consider campervan hire Portugal as this totally negates the need to find hotels, or to have to be at a certain place at a certain time to base yourself. With a campervan, you can park at the side of the road or even in a supermarket car park if you’re that desperate to stop. And all your cooking facilities, bed, entertainment etc is with you as soon as you stop. Portugal is a great place for camping. The climate is very conducive to this type of holiday. Being in a rented campervan gives you complete peace of mind. Should the worst happen and you break down, it is the rental companies responsibility to get you back on track again. If you owned your own, you could be up for a tricky time. Renting a campervan is a great way to holiday. It is very cheap, if you haven’t camped before it gives you a perfect starter and experience to see if you like it, and of course you can pick the camper based on the size of your party. If lots of you are going, hire a couple of them and split the costs. But in Portugal, there are so many things to see and do in a camper van. Having a hired campervan instantly means you can go to the less obvious places. In the north, check out the Dourou Valley, the beautiful mountains and castles upon the clifftops. You will find the Peneda-Gerês, Portugals only national park here, absolutely perfect for camping. Travel down the coastline, Portugal certainly has a lot of it. And this is where your camping holiday can save you even more money. In all quiet parts of the coastline except in the Algarve, you are free to park your van by the beach and camp out for no charge! There is so much to see and do on this coastline, from exploring caves and cliffs, to action water sports and beach fun and relaxation. All the while being close to your mobile base. The Algarve is perhaps one of the most famous parts of Portugal as far as tourists go. But keep away from those tourist hotspots, and venture inland a little where a little known vast area of terrain exists which is perfect for walking and exploring. You can also explore Portugal’s famous wines, and go wine tasting. But before you do so, designate a driver who isn’t going to drink, so that you can be sure of a sober driver when you leave. Portuguese wine offers a great alternative to French wine and is very reasonably priced. And of course, you can stay at the many campgrounds that are based around the country, meet fellow minded people, and swap and share stories and experiences. Often the best way to discover new places is through recommendations of people who have been there before. So check out campervan hire Portugal and explore the country in ways never thought of before.